Air is the fastest method of transporting critically ill patients from one medical facility to another. We offer multiple aircraft options to meet individual needs and budget considerations. All planes are equipment with state-of-the art life support equipment to meet the critical care needs of the patient. 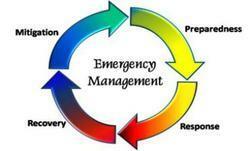 EMERGENCY SERVICES MYC is available 24/7/365 to handle any emergency requests our Members may have. eMerge™ is being used by several large groups. It is so easy to use that most of them have also started doing monthly consolidation. Hospitals – Fortis Hospital, Indian Spinal Injuries Centre, Government Veterinary Hospital and Apollo Medical Clinic. Trinity has developed and implemented this system suitable for Police, Fire and Ambulance Services. The DCRMS is an automated System that facilitate dispatch of the nearest available Patrol Vehicle / Ambulance to the scene of distress, reduces response time and provides total visibility of operation. Things can go wrong no matter how well we plan. Flights can be delayed and passengers can become ill any day of the year. For this reason, we are available around the clock, 365 days a year. 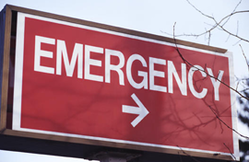 All critically ill patients are taken in through the Emergency. The team of specialized doctors and nurses in Emergency are adequately qualified and trained to deal with patients in need of urgent medical care. The KH Emergency is operational 24X7 and is located on the Ground Floor.